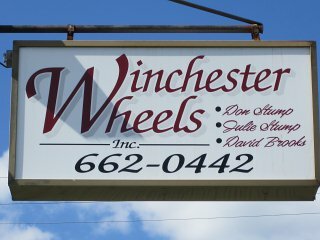 Here at Winchester Wheels Auto Sales we have the lowest prices on used Cars, Trucks, and SUV's. We will promise that after purchasing a car or truck from us you will leave happy with our great auto prices, auto quality, and extended warranties. We have been established since 1981. Feel free to browse our site here to learn more about us and check out our current inventory offerings. If you have any questions at all, give us a call, we will be more than happy to help you in anyway that we can. Visa and MasterCard Welcome. Dont Forget to check our Special Deals Page Our hours of operation are Monday through Friday 8:30 to 6:30,and Saturday 10:00 till 3:00.We are closed Sunday but sometimes make appointments to meet.